Are you eager to explore long range shooting but you’re afraid that you can’t afford the equipment? It’s true that long range hunting and target shooting used to be too expensive for many of us to take up as a sport. However, with the entry of some exciting new companies into the marketplace, you now have access to a stellar selection of affordable long range rifle scopes to enhance your shooting experience. 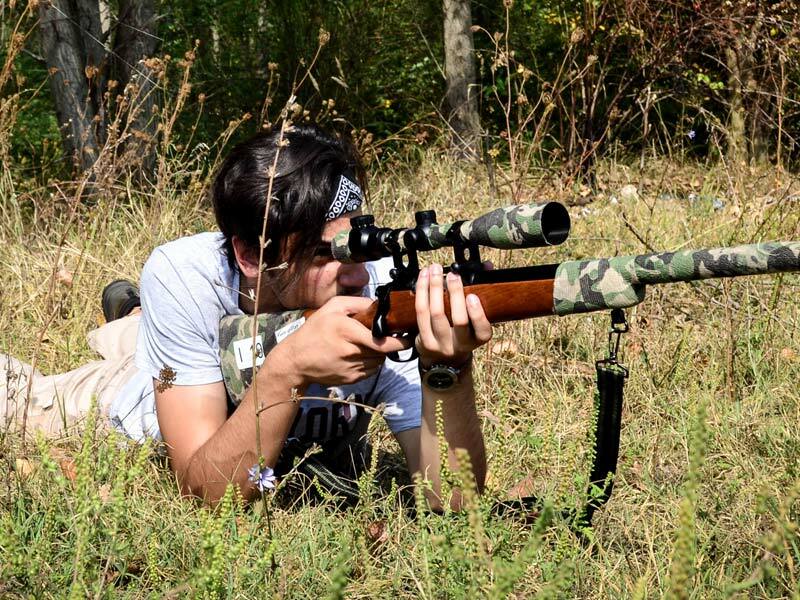 Here’s a review of three of the best affordable rifle scopes that you can buy today. The Nikon FX1000 is a competition ready riflescope that belongs to Nikon tactical-optics line of products. Nikon is justifiably world-renowned for its expertise in optics, and the Nikon FX1000 uses a first focal plane optical system along with multiple layers of specially coated glass to deliver an impressively sharp image. A rifle scope relies on its reticle, and Nikon offers the FX-MOA and the FX-MRAD within its first focal plane optical system. The huge benefit of these reticles is that, unlike with other affordable scopes, you’ll get accurate measurements regardless of the level of magnification. The side-mounted reticle controls let you choose from ten different levels of red light, and it’s easy to find the right level of brightness for the shooting conditions. As you’d expect from one of the top camera makers in the world, the Nikon is comfortable to use, and you won’t struggle to place your brow against the scope. The all-weather construction means that you can track your target in any weather. This rifle scope is designed to let you relax and concentrate on your shooting. Riton USA is an American born optics company that was started by law enforcement and military veterans. As a result of their collective backgrounds, this company understands the needs of their customers, and their Mod5 is a terrific option. The Riton employs a second focal plane optic and a Mil-Dot reticle to create an affordable long range scope that is nimble and accurate. The full field of view makes it easy to locate your target quickly. The optics are easy to adjust, and the image is crystal clear regardless of the weather. Like the Nikon, the Riton design practically guarantees easy brow placement from a variety of shooting positions. Even those of us with middle-aged and older eyes can use the Mod5 to track a target with ease. Overall, the Riton is a terrific value at just under $500. The manufacturer’s goal was to make a durable and simple to use scope enhanced with excellent optics and Riton has hit their target with the Mod5. With its unlimited lifetime guarantee, you can confidently buy this scope over other long range rifle scopes and still have money left over for a few boxes of ammo. The brand new Strike Eagle is a lightweight and durable tactical style scope, making it an excellent choice in the affordable long range scope market. The Strike Eagle aims to help make it easy for you to hit the target every time you drop the hammer. Vortex designed their Strike Eagle scopes for a variety of situations, and the 6X zoom range allows you to track a target from intermediate and long-range distances accurately. The second focal plane reticles are glass etched and do a superb job of presenting hold points that guide you to your target while not being so busy that they become a distraction. The Strike Eagle is an all-weather scope that can perform in less than perfect lighting conditions. The illumination dial has eleven different lighting levels and operates with a CR2032 battery. The dials rotate smoothly, and it’s a cinch to find the appropriate level of illumination. Although the Strike Eagle is a new scope, Vortex is a Wisconsin based company that specializes in designing and producing premium optics equipment. The company enjoys a fantastic reputation for the quality of their long range rifle scopes and their unlimited warranties. The Strike Eagle packs an amazingly powerful punch of technology into an affordable long range rifle scope. Top Quality Glass covered with protective coatings. An objective lens that is at least 30 mm in size. A tube that is wide enough, typically 30mm, to let in sufficient light. An illuminated reticle to comfortably fit the reticle over your target. Magnification level of a 3X minimum. It’s hard to beat the benefit of going to your local gun store and examining different long range rifle scopes in person. You can hold a particular scope in your hand and look through the glass to get a feel for how it might handle when you’re out in the field. If you have a favorite local gun store, you should check out scopes in person. On the other hand, you can usually get better prices if you’re willing to shop online. It makes financial sense to use the internet if you know which rifle scope you want to purchase. Favorite online retailers include Amazon, Brownells, and Optics Planet. Ask other hunters and target shooters for their recommendations as well. Another option, especially if you enjoy meeting fellow gun enthusiasts, is to visit a gun show in your area. Gun shows are fun events where you can discover all sorts of guns and gun related equipment. Check out websites like GunShows-USA for a list of upcoming gun shows. Even if you don’t buy a scope, you’re sure to find some informative conversation at a gun show near you. Lastly, good luck in choosing an affordable long range rifle scope. You have some terrific options to consider to improve your hunting and target shooting experiences. Remember to take care of your new rifle scope by stopping by ScopeShield for a protective cover.